Employees coming from sorts of job positions all have the right to resign whenever circumstances are no longer favorable to them be it personal or not. All of those who would want to resign from their post are informed of how things go should they wish to quit their job. It is a common and professional practice that one should tender his or her resignation. In this page, various Resignation Letters could guide you through your first step to resigning from your job. Quitting your job is still a responsibility you have to face toward the company, and that is why you need to pass a resignation letter. So You’re Writing a Resignation Letter as a Director of a Company . . . When you’re a director of a company, you have double responsibilities than those regular employees. You have earned your spot all the way up there because of your willingness to get involved with company practices and prerogatives. Business letter format. Overall, your letter should have a formal outlook. It has to have all letter parts technically in place. See our templates for Formal Resignation Letters and avail of these templates in your ideal business letter format. Overview of experience. 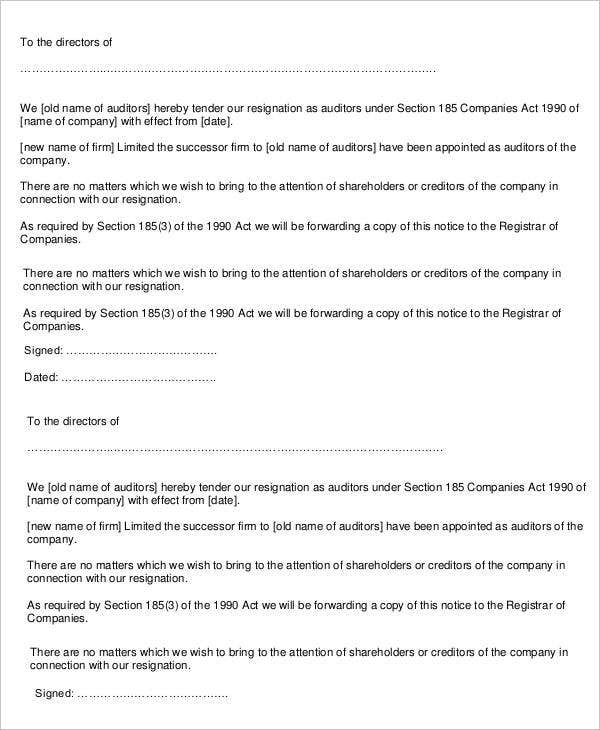 You might want to talk a little about your experience as the company director written on your resignation letter. Other than that, you also get to include how grateful you are of the opportunity. With this part on your resume, you get to lighten up the mood of anyone who reads it and ease the fact that you are actually resigning. Intention to resign. 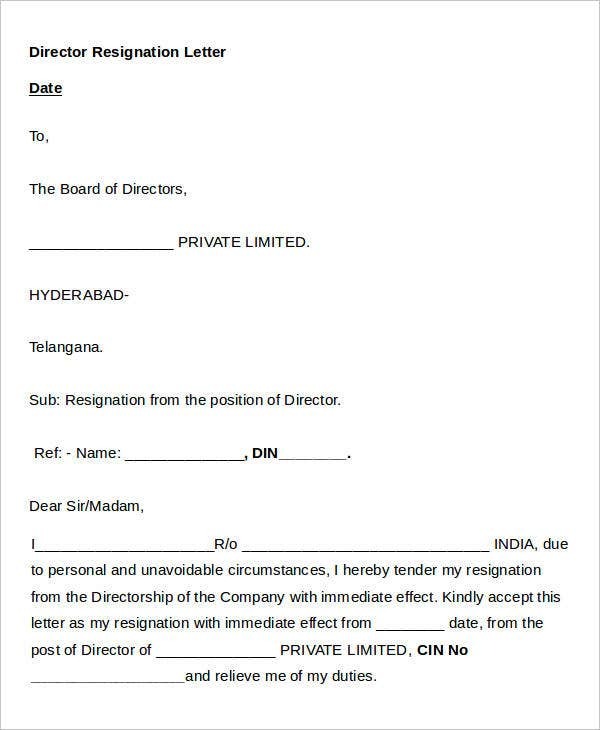 Reach out to inform through your letter that you are resigning as the company director. Note that despite tasks and responsibilities, you were able to have made it to a certain duration and that you are finally resigning. 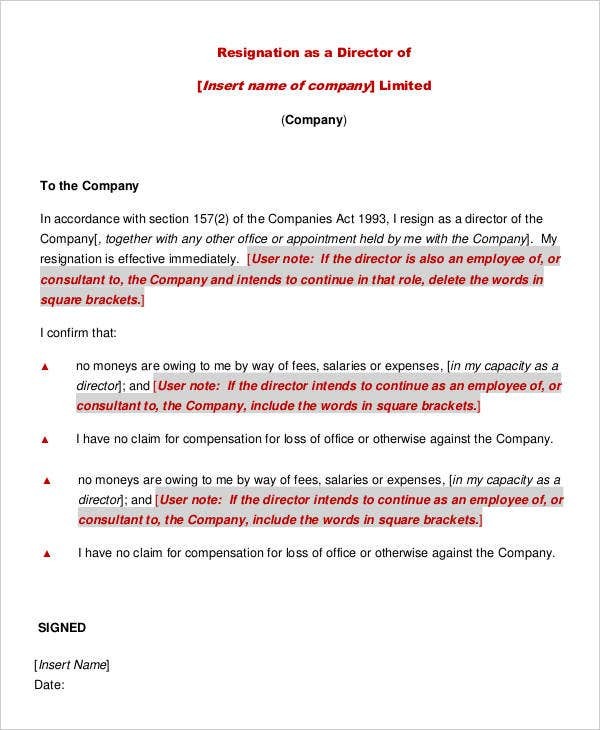 We offer templates on Employee Resignation Letters just so it might be a lot easier for you to just download and fill in with the information that you need to include in your letter. 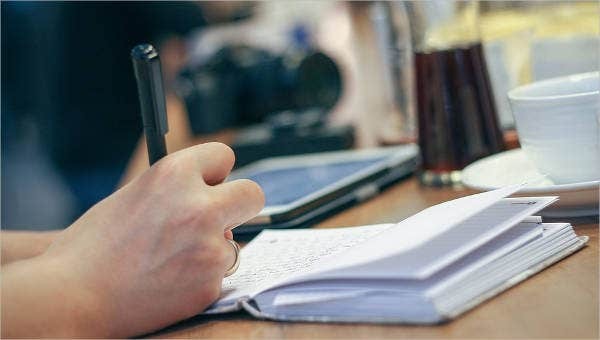 You might find it hard to draft your own resignation letter so we offer you our Board of Director Resignation Letter Template that is brief and concise, just the way you might want it. If you wouldn’t want so much information on your letter, this template could just be the right one for you. 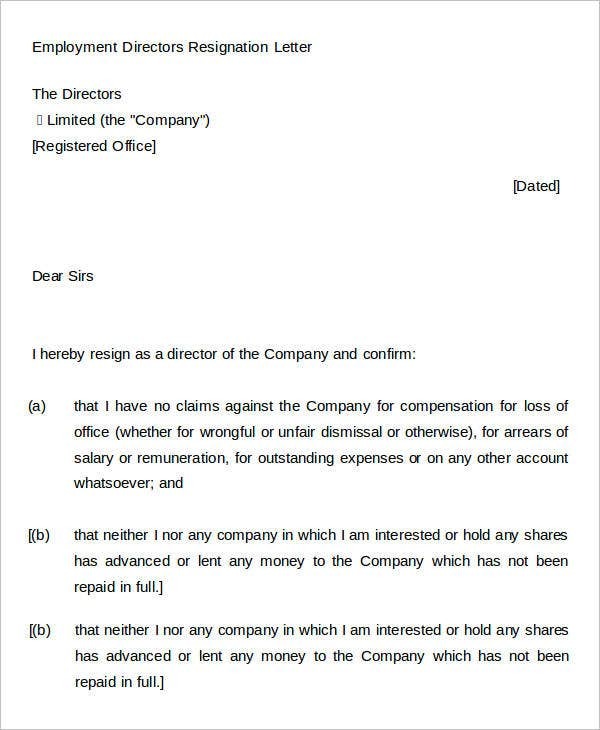 The Company Director Resignation Letter Template provides you a letter in a bulleted list for easier reference and breakdown of intention in your letter. We also provide you a guide as to what significant information your letter should contain. 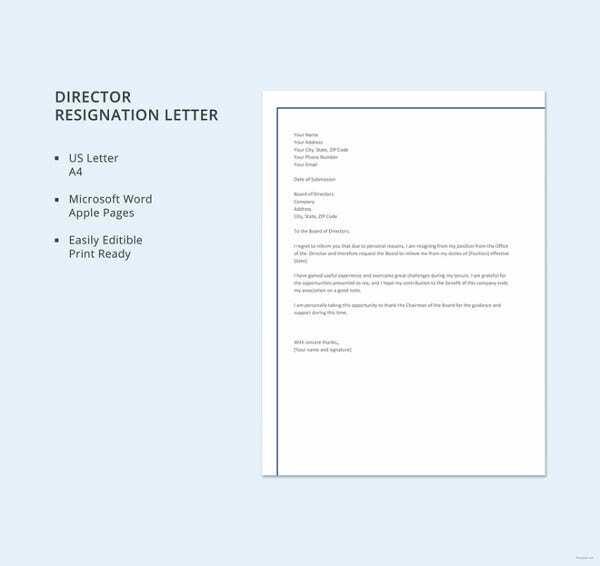 A block format to your letter could be what you find formal in our Executive Director Resignation Letter Template. This short and well-written letter template might just be exactly what you need if you do not fancy, lengthy resignation letters. 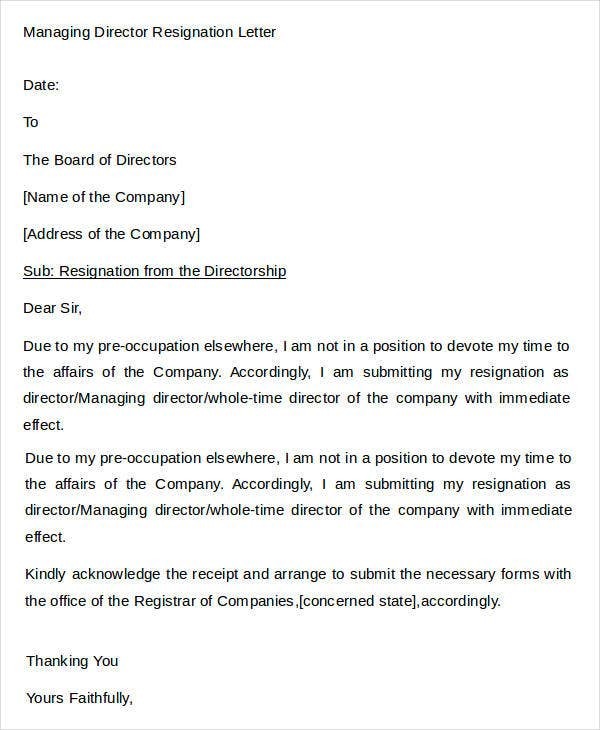 We also have templates for Professional Resignation Letters that are easy to download and already made available for you. 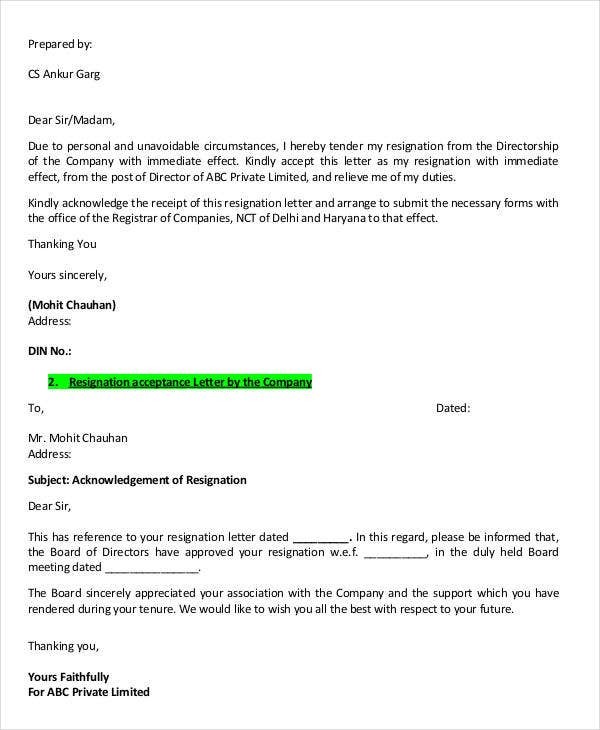 This could be right for you if you are looking for courtesy resignation letter. 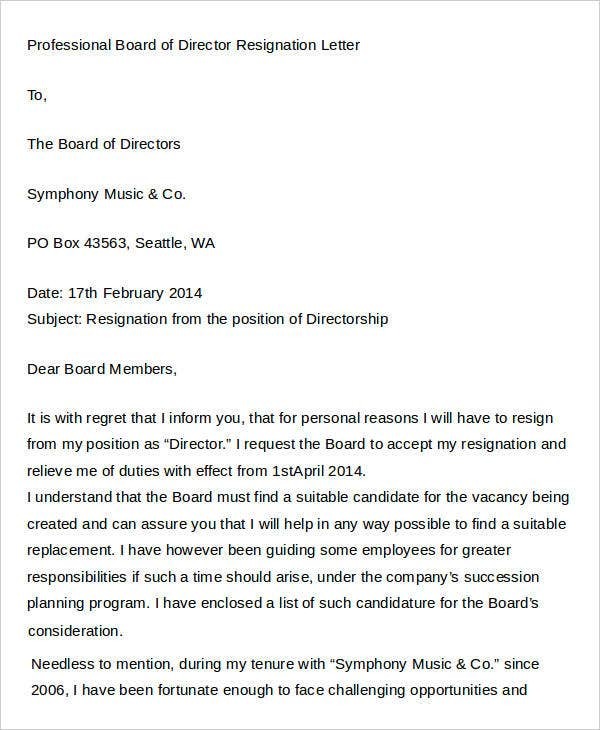 Also take a look at these Funny Resignation Letters you might or might not submit to your employers.